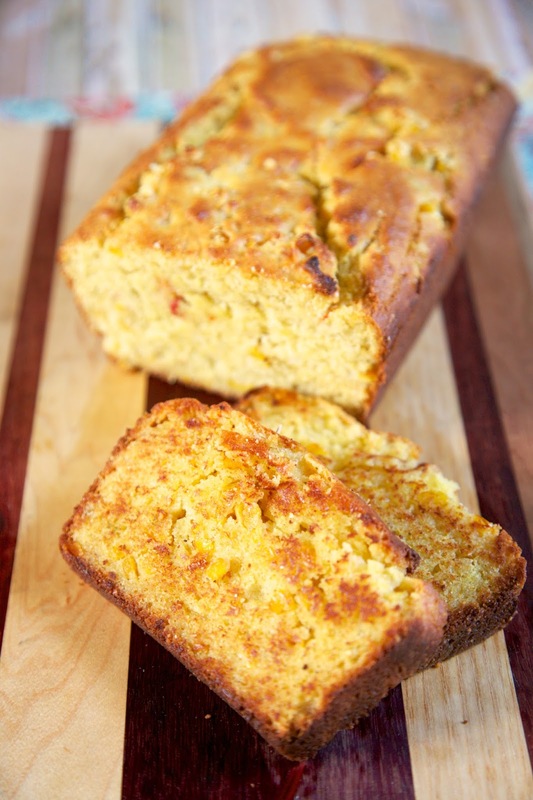 Texas Toast Cornbread - tastes just like the cornbread from your favorite BBQ Joint! Flour, cornmeal, sugar, baking powder, eggs, heavy cream, oil, honey and Mexicorn. Just a hint of sweetness. Grill slices to get maximum flavor! Great with soups and chili! On a recent trip to Nashville, we ate lunch at Edley's BBQ. Chicken Legs got cornbread as one of his sides. It was delicious. The cornbread wasn't like my usual Southern Cornbread. It was a little sweeter and grilled. I knew I had to try my hand at recreating it. I adapted my usual cornbread recipe. I made it sweeter and added a can of Mexicorn to the batter. Since I wanted this to be more like Texas Toast, I baked the cornbread in a bread pan and then pan fried each piece before serving. It turned out delicious! Chicken Legs said it was better than Edley's. I think I might have to agree. It was darn good, if I say so myself! In a bowl, combine flour, cornmeal, sugar, baking powder and salt. In a small bowl, beat the eggs. Whisk in cream, oil and honey. Stir egg mixture into the dry ingredients just until moistened. Stir in Mexicorn. Pour into prepared loaf pan. Bake 40-50 minutes or until a toothpick inserted near the center comes out clean. To serve, cut bread into slices. Melt butter in skillet. Fry bread in butter until golden brown on both sides. I think I just discovered what we're having for dinner tonight! YUM! This is a must try for me. Sounds delish. Looks wonderful. I've got to give this a try. 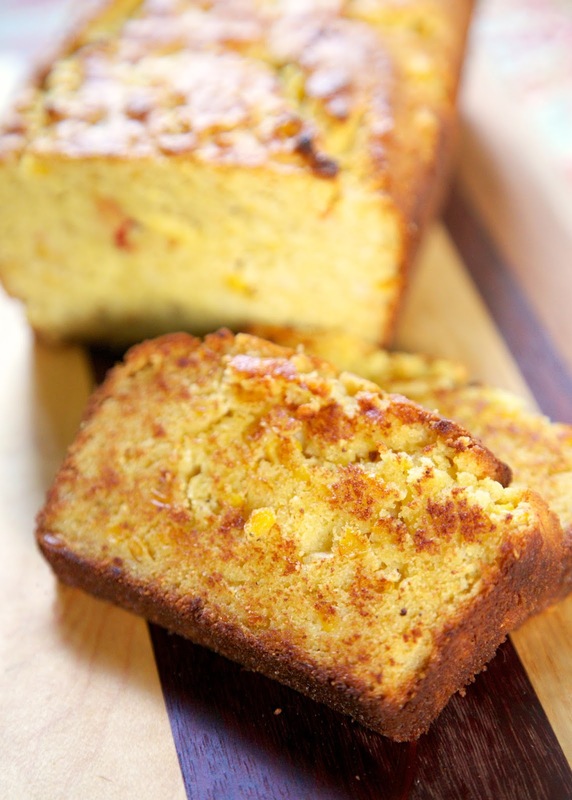 I love cornbread in any variation.